Today, I found an article that takes you back to basics when working as a sound tech. It is all about having the right tools to for the job. Without them, you cannot be an efficient part of the team. The article is by Craig Leerman posted on the Prosoundweb.com page. 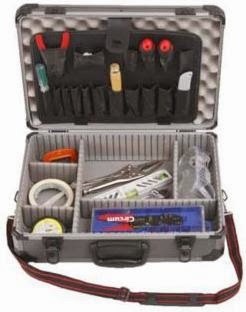 Personally, I have tech tool kit in an aluminum carrying case and I take it to every gig I work. Having the necessary tools on hand make the fix job easy to complete when required. You just never know what will happen on a gig and you should be ready for it. The picture above is a standard set of tools you will use on every gig. 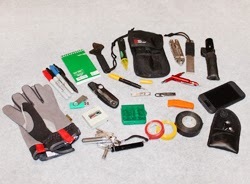 Of course, there are also a great many devices that you could add to your tool kit. For example: digital multimeter, cable tester unit, SPL meter, DI box, talkback mic with cable, iPod, and various adaptors and patch cords for a variety of hookups. So, go out and buy yourself an aluminum case from Wal-Mart or Canadian Tire and make up a tech tool kit for yourself. You will be glad to have the tools at your next gig.